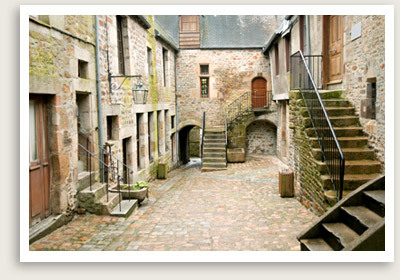 Normandy Private Tours from the ports of Le Havre or Honfleur. See Normandy’s charming countryside. Enjoy cheese and cider tasting. See the villages of Camembert and Liverot, famous for their locally produced cheeses. Enjoy Normandy’s charming countryside, and the cheese and cider tasting. Tour Inclusions: private transportation, guide service, taxes, toll, parking, tastings of cider and/or Calvados brandy, cheeses. Departure Points: LeHavre, Honfleur. Other departure points available. Inquire. Customize this private Calvados tour to include your preferred villages or activities. The cheese and cider tasting can also include apple brandy – calvados tasting. Inquire. You private Calvados tour takes you to Normandy’s lovely villages which produces delectable cheeses, cider and the apple brandy called Calvados. Your villages of Calvados tour begins with a visit to Beuvron-en-Auge. Beuvron’s villagers take pride in keeping up their architectural heritage: multi-colored, half-timbered homes best exemplified by the 16th century Vieux Manoir in the village’s oval shaped square. Your Normandy tour guide will take you on a walking tour of the town center. The next stop of your private Calvados tour will be Camembert, where the famous camembert cheese was first created in 1791 by Marie Harel. The village is tiny and charming complete with a cheese museum. The last stop of your private Calvados tour will be to Liverot, a cheese- and brandy-making village famous for its namesake cheese. The soft, pungent cheese is nicknamed the Colonel as it has five stripes around it. You will enjoy a cheese-making demonstration and do the tasting here. If interested, you will stop at a Calvados distillery, where you will learn how the region’s famous apple brandy is made, and sample the spirits of Calvados, if interested. NOTE: Cider tasting is planned.